PAUL GUZZO RETURNS -- TAMPA JOURNALIST SHARES TRUE CRIME! 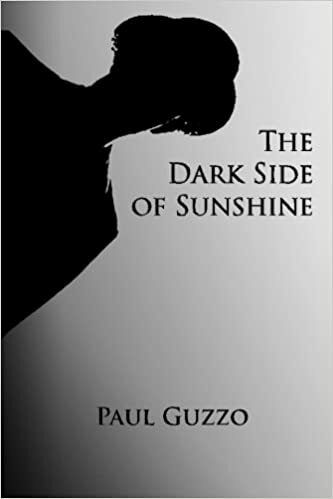 Paul Guzzo is the brilliant Tampa journalist who connected Burl with Ken Eurell, leading to the best seller, BETRAYAL IN BLUE. Paul brings his historical insights and journalistic professionalism to reporting and understanding true crime in Florida. Murder, mayhem, militias, marijuana, mafia and The Mons. A criminal history of Tampa focusing on its most infamous people and events of the past century. Historians seem to love painting a picture of Tampa's past as one of immigrants happily working side-by-side to create a utopian society that became the cigar capital of the world and later a destination hailed as one of "the nation's next best cities." While this is true to some extent, Tampa also has a dark side. Tampa's history can be divided into three dark eras - the early years of danger, where the greatest fear was the nightmarish individuals who were allowed to roam the nights in a city without a proper law enforcement organization in place; the mid-1900s when one of the most power criminal syndicates in the nation made its home in Tampa and when a another nation's revolutionary war affected the city's residents; and the late 1900s to early 2000s when Tampa became a sexual playground. Each flows effortlessly into the next, one always passing the torch to the next. Some of the names associated with these eras are well known in all corners of Tampa -Santo Trafficante, Fidel Castro and Joe Redner. While others are either less known or completely unknown - Charlie Wall, Tampa's first godfather; Robert Anderson, one of the nation's first serial killers; and Bobby Rodriguez, owner of Tampa's first GoGo bar. Whether known or unknown, good or bad, each of the individuals explored in this book had an impact on Tampa's history. These are their stories. Dr. Ramsland was one of our earliest guests a decade ago, and her fame and bibliography continue to grow as she waters her legend on both sides of the pond. She recently returned from a conference in the UK, and she is known to record dead people. BTK and other killers fascinate her, as does the supernatural. This will be another fun show.